YouTube stars Jake and Logan Paul are controversial and easy to hate. But both are among YouTube’s most talented artists. Their videos have an inventive approach to style and structure. And the Paul brothers are talented performers with Hollywood-level charisma. YouTube stars Jake and Logan Paul are easy to hate. They’re loud, cocky, and have become incredibly wealthy (according to Forbes, each made over $US10 million in 2017) in part by making terrible songs. They’re also two of YouTube’s most talented artists. If you don’t watch their videos, you’re most likely to know them from a pair of incidents that got them branded as moral hazards. The first came in July 2017 when Jake, the younger of the two brothers, gave a smug, defiant interview to a television reporter who had spoken with his angry West Hollywood neighbours and climbed the reporter’s van. The second came on December 31, when Logan uploaded a video that featured him and his friends finding a suicide victim in a forest and making shock-induced jokes as a coping mechanism. Logan tried to position the video as an opportunity to discuss mental health, but the line between advocacy and exploitation was blurry, at best. 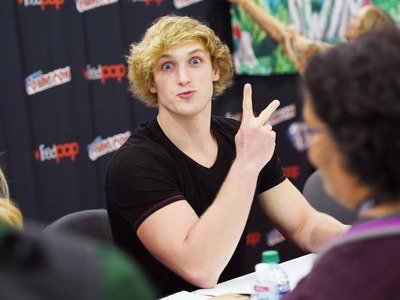 The video led YouTube to distance itself from Logan by limiting his ability to earn advertising revenue on the site, removing him from one of its original series (“Foursome”), and halting post-production on “The Thinning: New World Order,” the sequel to 2016’s “The Thinning,” which was also produced by YouTube. On Wednesday, YouTube will release “The Thinning: New World Order” on its YouTube Premium subscription service, Variety reports, suggesting Logan is now on better terms with the site. Jake and Logan’s behaviour in each video deserves criticism, and many writers have made important points about the collateral damage a platform that rewards sensationalism and allows for immense popularity with limited institutional barriers can cause. But to focus entirely on the Paul brothers’ mistakes is to ignore some of today’s most exciting and innovative popular art. The brothers’ video blogs, or “vlogs,” resemble reality television made from the perspective of restless millennials who grew up on the internet, where you can flip between viral videos, memes, social media, and any other form of entertainment you can imagine in minutes. Jake and Logan’s approach to making videos is chaotic, but never unintelligible, turning unexciting activities – like shopping for clothes or driving to pick up a customised car – into playgrounds for visual, sonic, and performative experimentation. It’s like mixing avant-garde cinema with Instagram, and it looks and feels like nothing else in similarly popular films, television shows, or YouTube channels. The Paul brothers grew up in Westlake, Ohio, and first gained fame on Vine, the now-defunct six-second video platform, where they discovered a philosophy and set of stylistic techniques they would bring to YouTube. The philosophy was that every second must be used to entertain, and their style – fast-paced editing, frequent camera movement, big and energetic performances – grew from it. Each brother has performed in more traditional settings, most notably Jake’s former role on the Disney Channel show “Bizaardvark,” and Logan’s appearance on “Law & Order: Special Victims Unit.” But both are best suited to the internet, where they’re not bound by traditional narrative structures. While the Paul brothers have also made comedy skits and music videos, they’re most effective on their vlogs. If you watch one for the first time, you may find yourself captivated but a little confused, as the videos don’t follow the narrative conventions of any existing genre. It may be difficult to discern, from moment to moment, where the video is headed, and its title may hint at an event that doesn’t quite happen in the way you expect, or that only happens after a series of tangents. But even at their most prosaic, the videos are never dull. You’re never asked to bide your time while waiting for the real excitement, because, like the best screen actors, the Paul brothers have a rare gift for engaging with the camera. Each brother has an unusually expressive face and body and a hyperactive sensibility suited for a platform that accommodates short attention spans. The Paul brothers don’t ask for your attention; they grab it. Their charisma is a different kind than most other YouTube personalities have. It’s the movie-star kind, which is not just extroversion, but an awareness of how they will be seen by their audience, the ability to be accessible and a little opaque. At any given moment, each is the most compelling person in his videos. None of the childhood friends and YouTube personalities that appear alongside them present serious competition. They’re accessories. The experience of watching Jake and Logan’s videos mirrors the experience of surfing the internet. Their videos are a frantic, improvisatory mash-up of genres and styles, equal parts reality show, diary, sketch comedy, behind-the-scenes documentary, experimental film, Instagram story, and clothing advertisement (each brother has a branded apparel line). One moment, they will address a hand-held camera as if taking a selfie or talking to a friend on FaceTime, the next, they will be the subject of an exuberant montage. It can feel like you’re watching several videos in the span of one or, more precisely, multiple videos put into a blender. That may sound like a recipe for incoherence, but the Paul brothers have developed a thoroughly modern approach to narrative that holds the videos together, combining the orchestrated spontaneity of reality television with the urgency and immediacy of Snapchat and Vine. They don’t operate as if you’ve committed to watching them for an hour. They work under the assumption that to keep you from clicking to another video, they have to make every second count. There are other YouTubers who share that attitude. But what makes the Paul brothers different is the scope of their ambition and the depth of their skill. Their videos are a more difficult balancing act, moving faster and engaging with more visual, sonic, and performative ideas. If other YouTubers are exploring uncharted territory, the Paul brothers are right by their side, juggling torches. Logan is the more sincere, reflective, and relatable of the two. In a video from April, titled, “The End of Logan Paul Vlogs…,” he suggests that he might retire his YouTube channel, but before he gets there, he puts on a riveting display of performative, stylistic, and conceptual invention. In the video’s opening minutes, he addresses the camera from the backyard of his home in Los Angeles, referencing the premise implied by the video’s title without tackling it head-on. Instead, he teases and is teased by his friends and ends up dropping the matter. Though he stays within a small radius, Logan never stops talking or moving. The feeling of activity is visual, too. The camera shakes and zooms, graphics illustrate Logan’s dialogue, and the video’s editing creates the impression that Logan is almost teleporting around the frame. The movement doesn’t stop, continuing with a flurry of visual effects, montages, and audio tricks as Logan picks up his customised Mercedes-Benz G-Class, which he spends much of the video’s middle segment driving. In the video’s final minutes, Logan thanks his fans for their support and reveals that, in classic Paul brother fashion, the “end” he hints at in the video’s title is a misdirect. He is not ending his channel, he says, just the habit of releasing a new video each day. So the video’s title is a bit misleading. But, as in many of Logan and Jake’s videos, exactly what happens is beside the point. It’s how it happens that matters. It’s the way they talk and move, and how the camera and soundtrack compound their energy. The cumulative effect of their style is a sense of joy and discovery, even if it’s sometimes hidden beneath juvenile pranks. Jake creates a little more distance between himself and his audience. He is less emotionally accessible and more prone to absurdist humour. For much of a video he released in April titled, “Jake Paul Yodeling in Walmart!! *Kicked Out*,” he uses broad gestures and inflections that don’t resemble traditional human interaction. But rather than pushing the viewer away, he creates a sense of intimacy – the feeling of gaining access to the small group of friends around whom he feels most comfortable acting without inhibition. The video begins with Jake and Kade Speiser, a fellow YouTube personality and member of Team 10 – Jake’s label for aspiring social-media stars – sitting in a bedroom in the Team 10 mansion and talking about Jake’s plan to imitate Mason Ramsey, who became a minor celebrity after a video of him yodeling in a Walmart went viral. Jake and Speiser act in the way of longtime friends who have developed a kind of second language through inside jokes and common gestures. The video consists of the two planning the stunt, shopping for clothes that resemble what Ramsey wore in his video, performing the stunt, and taking pictures with fans. Like Logan, Jake creates a feeling of constant motion. There are graphics, cartoon sound effects, a distorted frame, a brief clip from “SpongeBob SquarePants,” replays, visual filters, and slow motion, stitched together with frenetic (but precise) editing and handheld cameras. The stunt itself is childish, but it’s a Trojan horse for Jake’s boisterous talents. YouTube is full of would-be celebrities vying for your attention. What sets the Paul brothers apart is their rare combination of Hollywood charisma with an ability to translate the structures and rhythms of social media, memes, and internet videos into a coherent form of entertainment. There are other YouTubers, like Markiplier and Lilly Singh, who are magnetic on camera, but they’re often bound by conventional approaches to content and structure. On the flip side, some personalities, like VanossGaming, have an inventive approach to structure without a compelling on-screen presence. The Paul brothers have both and have used them to envision expansive careers that take frequent, unpredictable turns. There is precedent for artists who work in two disciplines – television and podcasts, film and literature, music production and music management – less so for those work in five. In addition to their vlogs, clothing lines, music videos, and intermittent appearances in films and television shows, the Paul brothers have also dabbled in amateur boxing. (They fought fellow YouTube stars – and brothers – Deji and KSI in August). Sometimes, their ambitions backfire. Their songs are almost unlistenable, and Team 10 appears to be in disarray, possibly due to Jake and his father’s alleged mistreatment of some of the group’s members. But the Paul brothers’ vision for a new kind of stardom is compelling. In their videos, you can sense a boundless energy ready to escape the frame. That energy can lead to stupid decisions. It can also make you feel like you’re watching the birth of a new medium.